My favorite team was in the clash against Stoke and this time, it was the Britannia Stadium to decide the finalist for the Barclay’s Premier League. It was a great occasion for Gerrard as he was playing for Liverpool for the very last time before he could head to the MLS and join LA Galaxy. It was a 250th premier league away and he scored 50 goals in total during the season. Liverpool had won the last three games against Stoke. I reached the stadium, was all excited for my team to win this time as well, putting Stoke to pieces. The first half was on and it was getting interesting with both the teams really defending so well. Finally Stoke fans could see the first goal and it was by Diouf for the Stoke. The Stoke fans got more excited when Diouf scored again for Stoke to make it 2-0. My team was under pressure. We got a chance to score from a free-kick but the delivery by Gerrard was headed excellently by Shawcross. For me the situation became worst when Stoke made the scoreline 3-0 with Walters goal. The Stoke fans were cheering so loud and it seemed so devastating. 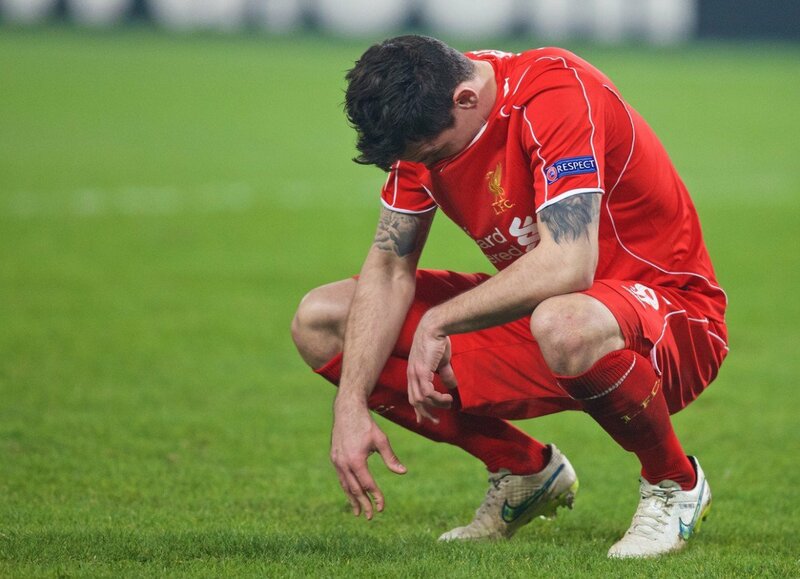 The match was getting unbearable with Adam making it 4-0 and it was turning to be a miserable farewell for Gerrard. And in no time, Adam was seen sliding the ball into midfield for N’Zonzi and he curled a wonderful effort into the top field corner to score a goal. The first half was over and there was little hope now. In the second half, Gerrard made a goal finally for Liverpool. Fans had not so much to cheer this afternoon. And to everybody’s great misery, Crouch made the scoreline 6-1. It had already been a miserable noon and Gerrard was disappointed to have such a whimper at his career end. ← What is it like to watch a soccer match from the stadium?